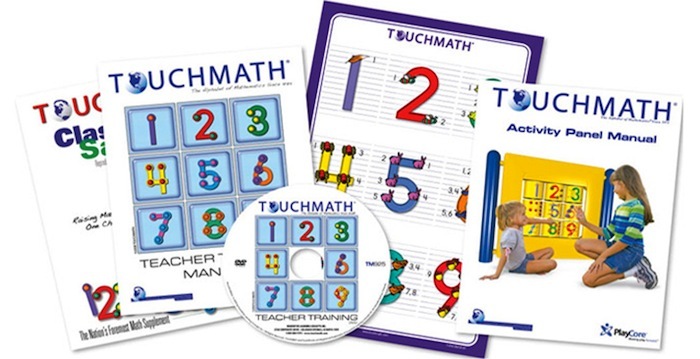 TouchMath is a multisensory program that uses its signature TouchPoints to engage students of all abilities and learning styles in learning math concepts such as counting, addition, subtraction, multiplication, division, and story problems. The TouchMath curriculum has been proven to raise math test scores and math comprehension and mastery in classrooms around the world for over three decades. PlayCore is proud to partner with Innovative Learning, Inc. to offer our TouchMath Activity Panel as an interactive outdoor play event that offers a fun way to increase child’s computational skills, provide healthy physical activity, and encourage positive social interaction. 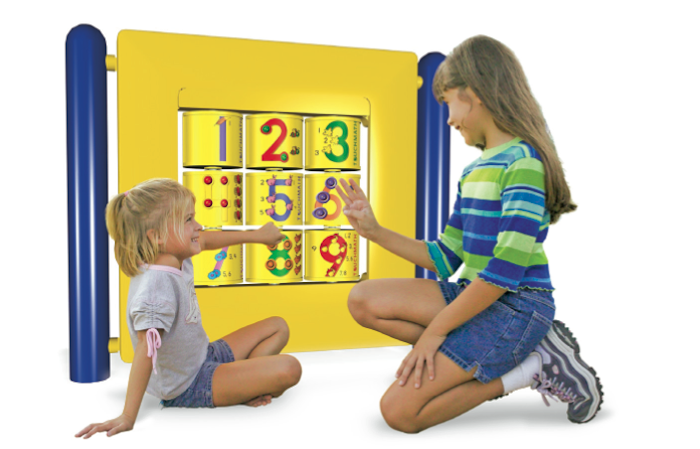 The interactive activity panel can be installed as either a freestanding element or part of a GameTime play structure. The hands-on panel, activity manual, and corresponding resources are the ideal way to integrate math concepts into the outdoor play experience. This comprehensive program is designed to equip educators and programmers with the tools they need to create dynamic, multisensory learning opportunities for all students in a fun, exciting way on the playground. The activity panel and activity manual reinforces math concepts taught in pre K- 5th grade through standards-based activities that meet the various learning styles and needs of all children. To learn more, visit www.touchmath.com.